Your "To Do List" is as long as the street. And new items are added even faster than you can cross off what you've done. Does it ever end? When is there time left for you? I can understand because I'm that person, too. Our CAPS Team can help you find more time to relax and enjoy your life. We can clean your home or office, organize your belongings, and help you prepare for a move. And when you finally get time to take your dream vacation, CAPS can house-sit for you, too. Experience High Quality Cleaning at a Reasonable Price. Call Me For a Free Estimate at 949-350-6916. 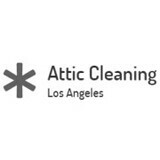 When you need your attic taken care of, there’s no one better to call than Attic Cleaning Los Angeles. Contact the best team in California for professional cleaning, decontamination, rodent proofing and many other services at the best prices around! Name your price with Home Helperz: the only home services company that allows customers to pay the price they want to have there homes, carpet, or garages cleaned. Customers can also tell us how much they want to pay for Handyman services, small moves, packing, and organizing their home. 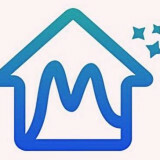 Never overpay again with Home Helperz. Sharp Sparkle offers old fashioned, good quality cleaning services for your home or office at reasonable rates. We are a family owned locally-based business and have been serving the Huntington Beach community and neighboring areas for the last 11 years. We take pride in the fact that our business has grown primarily through referrals. The secret to our success is that we consistently provide and maintain a high standard of cleaning service. Try us and you won’t be disappointed! Big H complete detailing and power wash LLC, is a privately owned and operated business, provides residential and commercial pressure wash cleaning services and complete detailing services (the one stop mobile shop). Our power washing is state-of-the-art Honda equipment. All cold water cleaning is done with biodegradable solutions and soaps. We have special products for brick, stucco, wood, asphalt and more. And our complete detailing offers services on Auto, Trucks, Motorcycles, RV’s, Boats, Aircraft, Exotic and Classic cars and Commercial Fleets. We use state of the art equipment and tools. A Sparkling and Spotless Clean Home! At EuroPro you are guaranteed the highest standard of home and office cleaning possible from our professional, competent, friendly and well trained staff. At EuroPro we're dedicated to not only providing you with a clean home but also a healthy living environment as part of our thorough cleaning processes. EuroPro first started as a small company in Orange County, California in April 2007. Over these few short years we have built on our success to become a well known name in the cleaning industry in California and our success has been based on providing a cleaning service that meets our customer's expectations every single time. We can handle any cleaning requirement you might have including Move-In/Move-Out, residential, office, condo, apartment, commercial, windows and carpet cleaning if you need it. All of the cleaning products we use are bio-degradable Green Seal products that are very friendly to the environment. We also only use microfiber cloths and vacuum cleaners with HEPA filters, as recommended by the US Department of Health. We are more than happy to work to your schedule and we also specialize in after party or holiday cleaning and we also specialize in thoroughly cleaning your home before any major holiday season or party too. We provide exceptional junk removal services for the Orange County area. Whether you need to get rid of an old spa in the backyard, clean out the garage, trash removal, or removing a patio cover, we can be of service. Our drivers are friendly, helpful, and experienced in the areas of “light” demolition, junk removal, and complete clean-up. At EPLA House Cleaning Services LLC, we provide amazing value in cleaning. We pay close attention to every aspect of your home or business. That attention to detail is appreciated especially when your space has not been cleaned for a long time. The best way to keep your interiors in top condition is through routine cleaning. Our goal is to become the best choice for house cleaning. There is no contest when you compare our results against other cleaners. We never let our clients down because residential cleaning is our specialty. You always get the best deal in new home cleaning when you choose EPLA House Cleaning Services LLC. You won’t find a better cleaning company in Santa Ana, CA and the surrounding areas because our goal is to make everything look like new again. Clients expect nothing less when it comes to residential & commercial cleaning because we aim to be the best. We look forward to hearing from you soon! Hi, my name is Leslie. I specialize in residential and commercial cleaning. I provide the highest level of service at competitive prices with over 11 years experience and customized plans to keep your home clean. I make sure my clients are always satisfied with my work. Since the year 2000 our company has built a great relationship with many loyal customers who seek our special services and love to work with us due to the level of dedication we love to give to all the kind of projects we do on the daily, weekly and yearly basis. Our company is well recognized for providing a world-class cleaning service. Our Headquarters is based in Orange County California and we serve all Los Angeles. Orange and Inland Empire counties. We offer a variety of residential and commercial cleaning services specifically tailored to the needs of our clients. We take pride in what we do and are well-equipped to assist individual and corporate clients. No job is too big or too small for us to handle, and we are especially capable of handling the most difficult jobs. Whether you are too busy to clean your home or you simply would rather have someone else do the dirty work, we would love the opportunity to help you and your family live a better, cleaner life! Our team of expert housekeepers and cleaning specialists will work around your schedule, ensuring that your home is cleaned according to your specific requirements. With The Joy of Cleaning OC, you have the satisfaction of knowing that your home is in the care of the most trustworthy, reliable and efficient professionals in the business. We are here to help you with everything from consultation to expert cleaning from start to finish. We take great pride in our years of experience in the cleaning industry, and our unwavering commitment to quality and excellence. All of our services are provided with a 100% Full Satisfaction Guarantee. If you aren’t happy with our services for any reason, simply give us a call within 24 hours, and we will clean your home to your satisfaction with no extra charge. What should I expect from a house cleaner in Hermosa Beach, CA? Most professional Hermosa Beach house cleaning services will do the same tasks for a basic residential cleaning job: clearing dust and cobwebs from all surfaces and fixtures; wiping all surfaces, including sinks, tubs, counters mirrors; cleaning tile; vacuuming and mopping. You may want to have different rooms detailed at different times, so ask about doing a rotating schedule if you want them to pay extra attention to each space (like kitchens and bathrooms) every other cleaning. Some house cleaning companies in Hermosa Beach, CA will also offer additional services such as window washing or appliance cleaning, so ask about incorporating them into your deal or doing them as a one time thing if you’re interested. Pick up any clutter (laundry, toys and other gadgets) and put pets in a secure spot so they feel safe and don’t get in the way of the Hermosa Beach house cleaning company. Put out any specific cleaning products or tools you want used, and make sure to lock up any valuables that you don’t want disturbed. Most housekeeping services in Hermosa Beach, CA will enter with a spare key or garage code, but if that isn’t something you’re comfortable with then you should arrange for them to come when you are home to let them in. Typically Hermosa Beach house cleaners expect payment at the time of cleaning, so ensure you have the appropriate form of payment (cash, check or credit card) on hand, plus a little extra for tip if that’s your style and they do a great job. 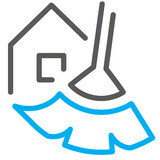 Find Hermosa Beach house cleaning services on Houzz. Narrow your search in the Professionals section of the website to house cleaners in Hermosa Beach, CA and contact local companies to ask questions and get quotes.